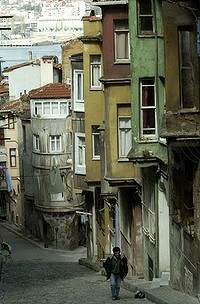 Istanbul is one of those destinations that guarantees a shock to the system. It is a seething metropolis at once ancient and modern. Yet when it comes to accommodation, many of the choices are less than exotic. Most travellers choose budget accommodation concentrated around the tourist golden triangle of the Topkapi Palace, Blue Mosque and Sultanahmet, or the luxury hotels of the funkier neighbourhoods of Beyoglu, Taksim and Ortakoy. I book a new holiday rental that offers a different way to discover this fascinating city, the chance to experience a slice of life where there isn't another tourist in sight. Verystanbul is hidden away on the shores of the Golden Horn, in the district of Fener, the historic home of a large Greek and Jewish population, just by the original city walls.